Clae is a brave nine-year-old boy who wishes his parents would reunite. Every school holiday Cale goes to stay with is Dad. Before each visit he is sad, excited, anxious and happy – all at the same time. Clae loves and misses his Dad – but he doesn’t want to leave his Mum. It’s a tale of one child who comes to realises that regardless of his family dynamics – he is loved by both of his parents. This beautiful book tells a story for children whose hearts are torn between the love of two parents. It’s for everyone who ever felt the tug of a child’s heartstrings as they leave one parent to be with the other. Its for the parents who can’t be with their children – to let them know how much you love them. 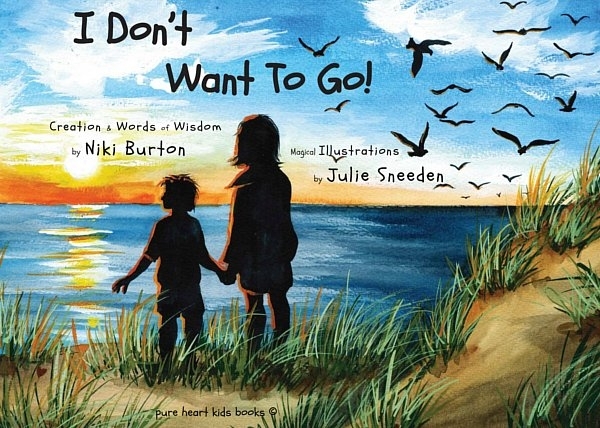 Niki Burton has written this from personal experience and her goal as an author was to write this book so that it’s a fun and a positive non-confronting interactive resource for families, parents and guardians to help facilitate and encourage communication regarding grief, with guided discussion topics at the back to share. Julie Sneeden beautifully illustrates the pages of the book and to compliment the interactive aspect of the story Julie has drawn a little heart that's hidden in illustrations for the young at heart to find. I would recommend this book as the answer for those who want to heal their children's hurts, yet are stuggling to find ways to help them let go of the grief and hurt. The simplicity of the story provides positive and healing aids in acknowledging the emotions your child might have rather than stifling it, and eventually it helps them to see that their own feelings are recognised and valid.